When it was first suggested to me by my doctor back in November that I should try some cognitive behavioural therapy for my anxiety and depression I didn’t have a clue what to expect. Although I said yes I wasn’t exactly looking forward to it if anything I was really scared. 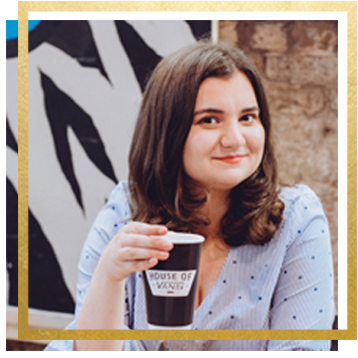 I was told straight away that I would need to have my sessions over the phone as my work schedule meant seeing them face-to-face at the centre wasn’t an option. I accepted it regardless as I was willing to take whatever was offered to me – I was and still am desperate to get help. Anyway fast forward to two weeks ago and my first session had arrived! Before it ended she said that I should keep a diary of all of our sessions to keep an eye on my progress which was what gave me the idea to do them as posts! I hope this will interest you in some way whether you want to gain an insight into what therapy is like or you’re just curious about what’s going on in my life. Another quick warning that this post talks about depression and anxiety so it could contain some triggering elements. 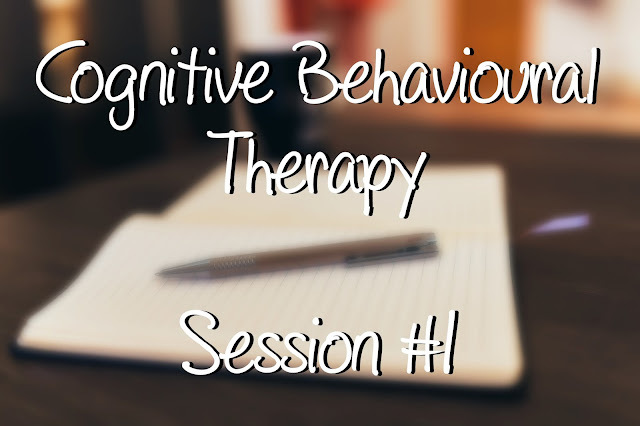 Before I dive into what happened during the session I thought I should explain what cognitive behavioural therapy is for those that might not know already: it’s a type of talking therapy that aims to changing your way of thinking and behaviour which will in the long run help you to manage your problems. I could tell from the first few minutes of the session that it was more of an introduction to the therapy than the start of breaking down my problems, I think she called it an initial assessment? We started off by going through a survey that I was told to fill out in time for the phone call; there were various questions relating to depression and anxiety which I had to rate from 0-3 with 0 being ‘not at all’ and 3 being ‘nearly every day’ and the scores after would determine what level I’m at of each. As you could imagine they weren’t the most comfortable questions I’ve ever been asked. In the back of my mind I was still hoping I wasn’t that bad but I knew I was being naive. I remember when she said “Your scores shows signs of severely moderate depression and severe anxiety, does that sound right?” and by then I had tears in my eyes. I hated it to do it but I had to agreed as there was no point in lying. Also the long pause probably made it obvious anyway. So after having a few seconds to take that in we moved onto creating a problem statement. She would start a sentence and then I had to finish it whilst matching it to how I was feeling. It was all relating to what what was triggering these negative thoughts and how they’ve impacted my family, work and social life. I’ll give you an example: the first one was “My problem is..” and my answer was on the lines of me thinking that everything is going to wrong and I keep convincing myself that I’m not good at anything. At first I didn’t see how this was helping at all because I ended up just feeling worse. I later realised that she was asking these questions because she wanted to know what was going on in my head so she could see what help I needed, took me a while to figure that out but I got there in the end. I think for me the hardest thing was hearing her repeat my answers to me. I know that might sound odd but it was really sad to hear from someone else’s how depressed you feel. I have become so immune to feeling like this but now others are starting to see it now it’s definitely become more real. We ended it on a more positive note by talking about goals, basically what did I want to achieve from these therapy sessions. For me I want to find coping strategies for getting myself out of the high states of anxiety which is where I think it all starts going wrong. This way I can try and stop the negative thoughts and feelings before they even try to surface. I think that’s a good goal right? Well done, you are super awesome for sharing this. Some people are against the idea of 'anybody' knowing they are receiving/received therapy. Thank you for helping break the taboo against therapy! We also love how you have described the process behind therapy. This sounds quite interesting. I like that they offered to do it via telephone so that it fit in with your work schedule. I did an 8 week group therapy thing for pain & fatigue, but had to take a day off work a week to do it (as it turned out, I dropped down to a 4 day working week afterwards to benefit my health anyway). Thankyou for posting this. I am going to start CBT later this month and it was so great to read your experience of your first session. I am definetly looking forward to reading about your other sessions.